Who can guess which Rotterdam Square is played on Soundpiece can win tickets for performances in De Doelen or Rotterdamse Schouwburg. 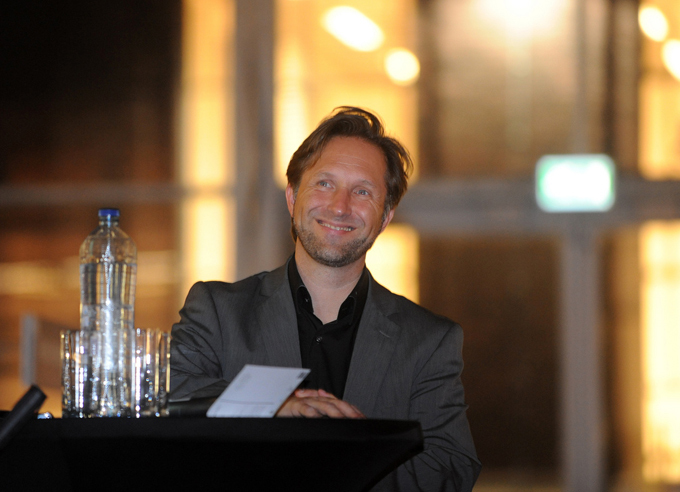 Bernd Fesel is the Deputy Director of the European Centre for the Creative Economy (ECCE). This institute came about from the Ruhr European Capital of Culture (ECoC) event in 2o1o, for which Bernd Fesel was the advisor for the Creative Industry. His organisation supports, facilitates and tries to crosslink the creative economies in the Ruhr region, both at a local and regional scale. Every workday between 19.oo and 21.oo, from the middle of August until middle of September 2o11, Soundpiece performed as a Soundgallery, exhibiting soundscapes of different sound artists. The artists were asked to create a soundscape in which Rotterdam is represented by different sound atmospheres.